Sure, we make wine at the Black Oystercatcher (and hopefully really great wine). But owner Dirk Human is actually a farmer first – before a winemaker. He believes perfect grapes make wonderful wine. And that means having a strong connection with nature. (After all, that’s our philosophy: To work the land with the least possible interference, in the most natural way.) If you love our wine, chances are you’re a nature-lover too. So here’s a little test for you – to see just how much you know about the Black Oystercatcher bird. Test #1: Despite its name, the Black Oystercatcher does NOT eat oysters. Instead, they eat mussels, crustaceans, worms and limpets. Really, anything but oysters. Test #2: They breed only along the coastline of South Africa and Namibia. 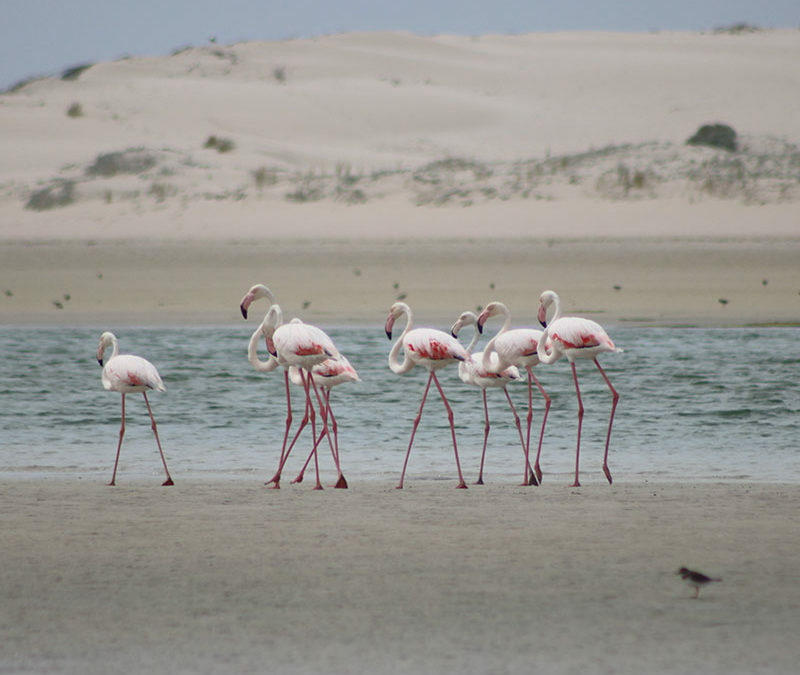 Although you may find the odd non-breeding birds along the Mozambique and Angolan coastline. Test #3: Birds pair for life. Well, you may know that already. That means they can spend up to 20 years together. It also captures our own philosophy: a partnership between man and nature, food and wine and friends and family. 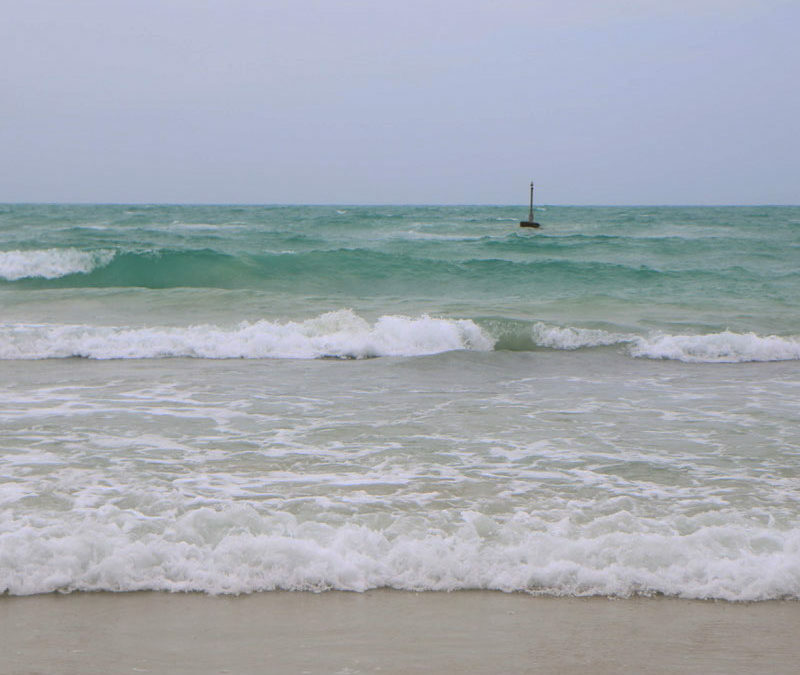 Test #4: Head to the beach now, and chances are you’ll find breeding pairs. They breed between October and April, laying well camouflaged eggs. From vehicles driving on the each, to spring high tides (which destroy nests), red tides and pollution. There used to be just 4800 individual Black Oystercatchers left IN THE WORLD. That was in the 1980s. And the low number shocked conservationists (and those who care) into action. Steps were introduced to fight the threats to the birds. And as a result, today you’ll find around 6700 birds. 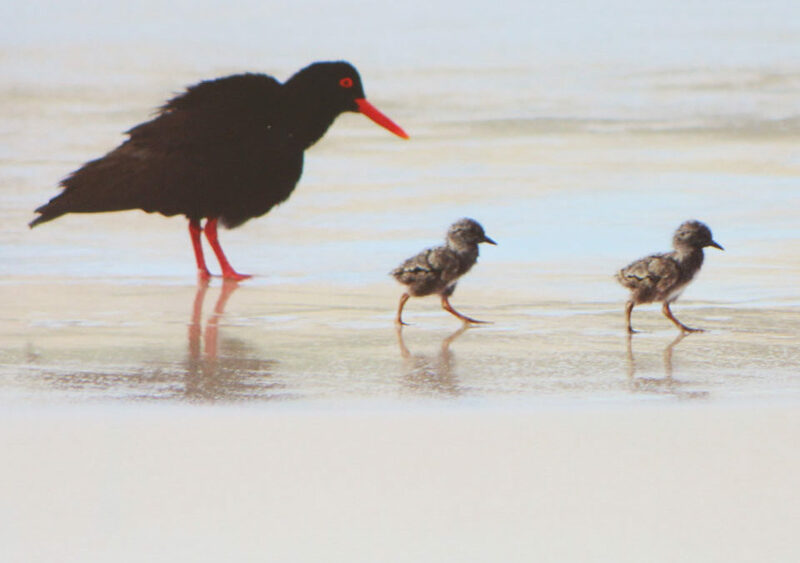 With the number increasing, the Black Oystercatcher’s Red Data Listing (on the IUCN’s list of Threatened Species) improved from Near Threatened, to Least Concern. That’s a great conservation story. And one the Overberg proudly shares in! P.S. How did you do in the test? (Thanks to Birdlife South Africa for the Black Oystercatcher info). Now we travel a little bit east from De Mond, along the coast, to the small town of Arniston (or Waenhuiskrans). The Black Oystercatcher bird features in the 2019 Birds of Southern Africa calendar. It’s the birdlife you’ll see here that makes conservationists super excited. 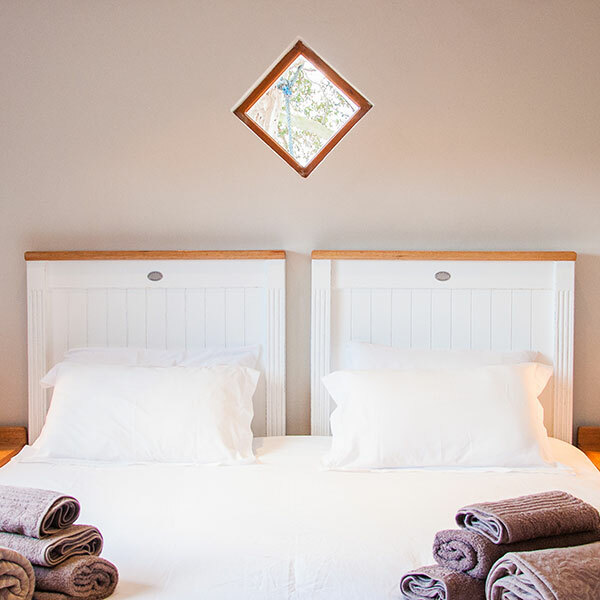 Breathe in the fresh air, savour our wonderful fresh herb and vegetable garden (you can even pick them to spice up your meals) and enjoy the beautiful views over the Elim area (with a glass of wine of course) at our self-catering Bredasdorp accommodation.